Roy Richard Scheider (November 10, 1932 – February 10, 2008) was an American actor and amateur boxer. Scheider gained fame for his leading and supporting roles in several iconic films from the 1970s, playing NYPD Detective Buddy "Cloudy" Russo in The French Connection (1971); NYPD Detective Buddy Manucci in The Seven Ups (1973); Police Chief Martin Brody in Jaws (1975) and Jaws 2 (1978); Doc in Marathon Man (1976); choreographer and film director Joe Gideon (whose character was based on Bob Fosse) in All That Jazz (which was written and directed by Fosse) (1979); and Dr. Heywood R. Floyd in the 1984 film 2010, the sequel to 2001: A Space Odyssey. Scheider is also known for playing Captain Nathan Bridger in the science fiction television series seaQuest DSV (1993–1996). Described by AllMovie as "one of the most unique and distinguished of all Hollywood actors", Scheider was nominated for two Academy Awards, a Golden Globe Award and a BAFTA Award. Scheider was born in Orange, New Jersey, the son of Anna (née Crosson) and auto mechanic Roy Bernhard Scheider. Scheider's mother was of Irish descent with an Irish Catholic background, while his father was a Protestant German American. As a child, Scheider was an athlete, participating in organized baseball and boxing competitions, for which he was classed as a welterweight, weighing in at 140 lbs. Scheider competed in the Diamond Gloves Boxing Tournament in Elizabeth, New Jersey. He attended Columbia High School in Maplewood, New Jersey, graduating in 1950, and was inducted into the school's hall of fame in 1985. He traded his boxing gloves for the stage, studying drama at both Rutgers University and Franklin and Marshall College, where he was a member of Phi Kappa Psi fraternity. Between 1946 and 1949, Scheider boxed as an amateur in New Jersey. Scheider said in a television interview in the 1980s that he took up boxing to lose weight. He said he had no desire to fight, but that his trainer, Georgie Ward, encouraged him to compete. In his second bout, at the 1946 Diamond Gloves Tournament (Golden Gloves), Scheider suffered a broken nose and lost by technical knockout in two rounds to Myron Greenberg. He went on, however, to post an 8–1 (6 knockouts) record, reversing the defeat to Greenberg in the process. Peter Read KO February 17, 1949 1 Elizabeth, New Jersey Scheider suffers nose injury; drops out of tournament. Myron Greenberg TKO January 11, 1946 2 Golden Gloves New Jersey Scheider's nose was broken. Scheider served three years in the United States Air Force as a First Lieutenant in Air Operations from 1955 to 1958. He then became a reservist Captain in the Air Force Reserve Command until 1964. Scheider's first film role was in the horror film The Curse of the Living Corpse (1964). On television, he played running roles on two CBS soap operas, Love of Life and The Secret Storm, and also played character roles in episodes of Camera Three, N.Y.P.D. and Coronet Blue. He was in the TV movie Lamp at Midnight (1966). Scheider appeared with the New York Shakespeare Festival, and won an Obie Award in 1968. He had a regular role on the TV series Hidden Faces (1968–69) and was in the films Stiletto (1969), Loving (1970) and Puzzle of a Downfall Child (1970), as well as the TV series Where the Heart Is and Cannon. In 1971 he appeared in two highly popular films, Klute (1971), directed by Alan Pakula, and The French Connection (1971), directed by William Friedkin. In the latter, in which he played a fictionalized version of New York City detective Sonny Grosso, gained him an Oscar nomination for Best Supporting Actor. Scheider was now in much demand. He was second billed in the TV movie Assignment: Munich (1972) and went to Europe to have key support roles in The Assassination (1972) and The Outside Man (1972). He was in the TV movie To Be Young, Gifted, and Black (1972). Scheider's first starring role came in The Seven-Ups (1973), a quasi-follow-up to The French Connection, in which Scheider's character is once again based on Grosso. He was second billed in Sheila Levine Is Dead and Living in New York (1975). Scheider portrayed Chief Martin Brody in the Hollywood blockbuster Jaws (1975) which also starred Robert Shaw and Richard Dreyfuss. Scheider's ad-libbed line, "You're gonna need a bigger boat" was voted 35th on the American Film Institute's list of best movie quotes. He appeared as secret agent Doc Levy in Marathon Man (1976), with Dustin Hoffman and Laurence Olivier. Scheider reunited with French Connection director William Friedkin in Sorcerer (1977), a remake of the 1953 French film Le Salaire de la peur (The Wages of Fear). He was originally cast in The Deer Hunter, the second movie of a three-movie deal with Universal Studios. However, despite being under contract, Scheider dropped out two weeks before the start of filming. Universal offered him the option of reprising his role as Martin Brody for a Jaws sequel, and would consider his contractual obligations fulfilled if he accepted. Scheider accepted, and Jaws 2 was released in 1978. It was a huge hit. Scheider starred in Last Embrace (1979), a Hitchcokian thriller for Jonathan Demme. In 1979 he received his second Academy Award nomination, this time as Best Actor in All That Jazz, in which he played a fictionalized version of the film's director and co-writer Bob Fosse. He did a thriller with Meryl Streep for Robert Benton, Still of the Night (1982) which was a box office disappointment. However Blue Thunder (1983), a John Badham film about a fictitious technologically advanced prototype attack helicopter which provided security over the city of Los Angeles during the 1984 Summer Olympic Games, was a huge hit. Scheider made two TV movies, Jacobo Timerman: Prisoner Without a Name, Cell Without a Number (1983) and Tiger Town (1984). This was followed by a role as Dr. Heywood Floyd in Peter Hyams' 2010, a 1984 sequel to Stanley Kubrick's 1968 science fiction classic 2001: A Space Odyssey, in which William Sylvester originated the role of Floyd. He provided narration for Mishima: A Life in Four Chapters (1985). Scheider was in The Men's Club (1986), 52 Pick-Up (1986) for John Frankenheimer, Cohen and Tate (1988), Listen to Me (1989), Night Game (1989), The Fourth War (1990) again for Frankenheimer, Somebody Has to Shoot the Picture (1990), and The Russia House (1991). One of his later parts was that of Dr. Benway in the long-in-production 1991 film adaptation of William S. Burroughs' novel Naked Lunch. In 1990 he co-starred with Sean Connery in The Russia House as the smart-talking CIA liaison with MI6. Scheider played a mob boss in the Gary Oldman crime film Romeo Is Bleeding (1994) and a chief executive of a corrupt insurance company cross-examined by Matt Damon's character in 1997's John Grisham's The Rainmaker, directed by Francis Ford Coppola. Among his later films he appeared as the crusty father of hero Frank Castle in The Punisher (2004), and in 2007, starred in The Poet and If I Didn't Care. When Scheider died in February 2008, he had two movies upcoming: Dark Honeymoon, which had been completed, and the thriller Iron Cross. In Iron Cross, Scheider plays the leading role of Joseph, a holocaust survivor with a propensity for justice, which was inspired by director Joshua Newton's late father Bruno Newton. Iron Cross was ultimately released in 2011. Scheider was lead star in the Steven Spielberg-produced television series SeaQuest DSV as Captain Nathan Bridger. During the second season, Scheider voiced disdain for the direction in which the series was heading. His comments were highly publicized, and the media criticized him for panning his own show. NBC made additional casting and writing changes in the third season, and Scheider decided to leave the show. His contract, however, required that he make several guest appearances that season. He also repeatedly guest-starred on the NBC television series Third Watch as Fyodor Chevchenko. Scheider hosted an episode of Saturday Night Live in the tenth (1984–1985) season and appeared on the Family Guy episode "Bill & Peter's Bogus Journey", voicing himself as the host of a toilet-training video; portions of which were censored on FOX and syndicated broadcast. 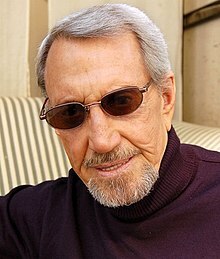 Scheider provided voiceover on the Family Guy episode "Three Kings" (which was recorded in September 2007 but aired in May 2009, a year and three months after his death in February 2008) which also featured his Jaws co-star Richard Dreyfuss. Scheider guest-starred in the Law & Order: Criminal Intent episode "Endgame" as serial killer Mark Ford Brady, who is identified at the episode's end as being the biological father of series star Vincent D'Onofrio's, character, Detective Goren. Scheider narrated and was associate producer of the 2006 Jaws documentary The Shark is Still Working. In 2007 Scheider received one of two annually-presented Lifetime Achievement Awards at the SunDeis Film Festival in Waltham, Massachusetts. After Scheider's death a biography entitled Roy Scheider: A Life was released as a tribute, compiling reviews, essays, and narration on his life and career. Scheider's first marriage was to Cynthia Bebout on November 8, 1962. The couple had one daughter, Maximillia (1963–2006), before divorcing in 1986. On February 11, 1989, he married actress Brenda Siemer, with whom he had a son, Christian Scheider, and adopted a daughter, Molly. They remained married until his death. In 2004 Scheider was found to have multiple myeloma, and he received a bone marrow transplant to treat the cancer in June 2005. He died on February 10, 2008, in Little Rock, Arkansas, at the University of Arkansas Medical Sciences Hospital. ^ a b "Scheider, Roy, Jr., Capt". www.airforce.togetherweserved.com. Retrieved April 6, 2018. ^ "Roy Scheider". TV Guide. ^ a b c d e f g h i j k Kehr, David (10 February 2008). "Roy Scheider, Actor in "Jaws", Dies at 75". New York Times. The New York Times Company. p. 6. Retrieved 10 February 2008. ^ "Obituaries: Roy Scheider". The Telegraph. Telegraph Media Group Limited. 11 Feb 2008. Retrieved 9 July 2012. ^ Kachmar 2002, p. 5. ^ a b c d "Roy Scheider". Boxing-scoop.com. Archived from the original on 5 January 2019. Retrieved 13 February 2019. ^ Kachmar 2002, p. 118. ^ "Obituary: Roy Scheider". BBC. February 11, 2008. Retrieved 2008-02-11. ^ Canby, Vincent (October 7, 1976). "Marathon Man (1976) 'Marathon Man' Thriller of a Film". ^ Canby, Vincent (December 7, 1984). "2010 (1984) '2010', PURSUES THE MYSTERY OF '2001'". The New York Times. ^ Labrecque, Jeff (8 August 2012). "'Jaws' Blu-ray extra: 'The Shark is Still Working'". Entertainment Weekly. Meredith Corporation. Retrieved 3 March 2019. ^ Scott, Vernon (20 October 1986). "Scheider: at his wife's mercy;NEWLN:UPI Arts & Entertainment -- Scott's World". United Press International. Hollywood. Retrieved 12 May 2018. ^ "Roy Scheider : le héros des 'Dents de la mer' emporté par un cancer". Pure People. Webedia. 11 February 2008. Retrieved 12 May 2018. ^ Bergan, Ronald (12 February 2008). "Roy Scheider". The Guardian. Guardian News and Media Limited. Retrieved 12 May 2018. ^ Derakhshani, Tirdad (June 21, 2005). "Roy Scheider battling multiple myeloma". The Philadelphia Inquirer. Archived from the original on 4 March 2016. Retrieved September 24, 2013. ^ Landsberg, Mitchell (February 11, 2008). "Roy Scheider; star of 'Jaws' and 'All That Jazz'". Los Angeles Times. Retrieved September 24, 2013. Kachmar, Diane C. (1 January 2002). Roy Scheider: A Film Biography. McFarland Publishing. p. 118. ISBN 9780786412013. Wikimedia Commons has media related to Roy Scheider.